1. Click Pieces on the left-side menu. 2. Select the Piece that you want to mark as Sold on your Pieces page. 3. Click the gray $ Register Sale button under the title. 4. Add the information you would like to include and click Save. 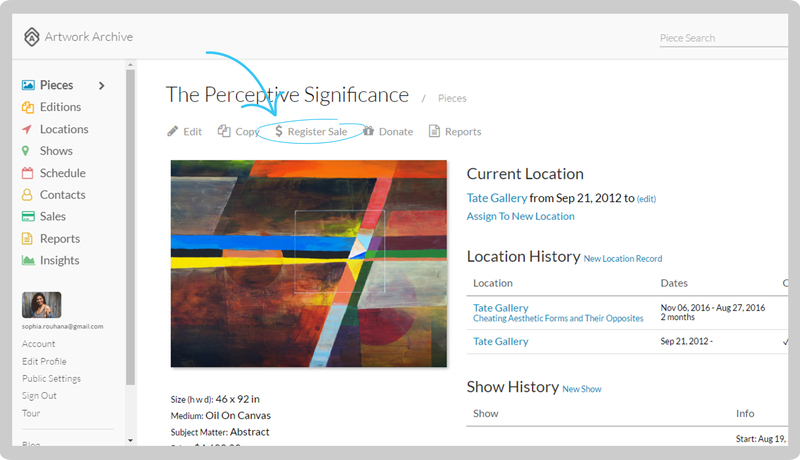 As you add more Sales, you will begin to see your top performing Locations, Sold Work Value, and more in Insights.